Margie made pancakes this morning, with real maple syrup. All of which puts me in a frame of mind to ponder the delights of maple syrup. 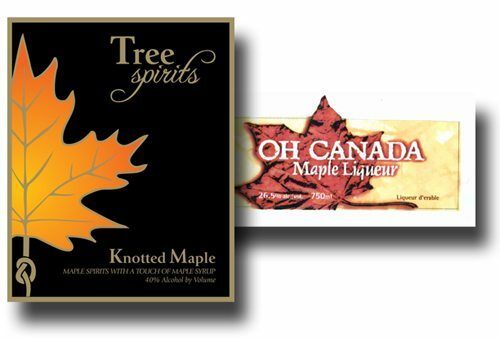 Oh Canada Maple Liqueur is made with maple syrup and undoubtedly tastes good (because it’s made by John Hall). But if you want to go even further, toward something made entirely or almost entirely from maple syrup, Knotted Maple may fill the bill. It is Maple Spirits with Maple Syrup, and is “distilled from Maine maple syrup.” It is produced and bottled by Tree Spirits, LLC of Oakland, Maine. For a bit more maple satisfaction, don’t forget Vermont Gold (Vodka Distilled from Maple Syrup).